Seachele Studios: Celebrating September - with Mojitos & Taquitos! Celebrating September - with Mojitos & Taquitos! So how do you celebrate the first day of September...in the middle of a heat wave? Well, our solution was Mexican Night - a rare treat for us! On the menu: Vodka Mojitos, Food Should Taste Good Lime Tortilla Chips with Newman's Own Pineapple Salsa and a squeeze of fresh lime, homemade (dairy-free!) 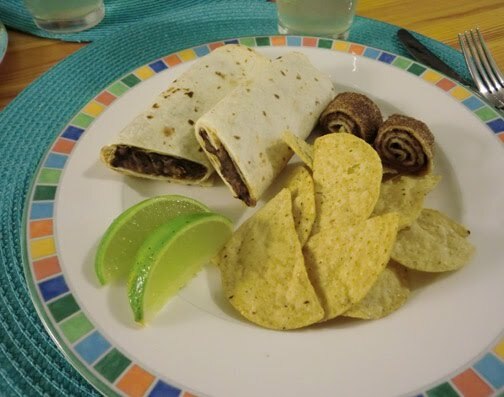 black bean taquitos, and mexican cinnamon roll-ups for dessert. (a great way to use up any extra tortillas!) Normally when I make taquitos I also whip up some coconut-lime jasmine rice as a side but I was so distracted making the mojitos and folding up taquitos that I completely forgot until it was much too late to start it. Ah well, it was a fab dinner, even sans rice!! Just what the doctor ordered for a hot, humid Wednesday evening! 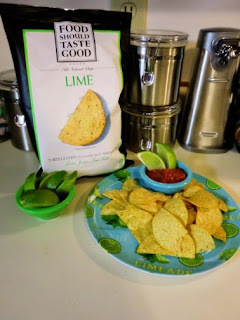 If you love lime you must try these tortilla chips! I followed Giada's recipe for the vodka mojitos and they were deeeeee-licious. So delicious, in fact, that the hubs had two! Meanwhile, I was feeling a bit flush from my 1 wimpy, watered down (but still delicious!) mojito! 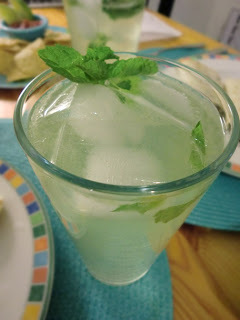 :) And if this post is making you crave a mojito too, you're in luck... here's the recipe! Enjoy! In a pitcher, combine the simple syrup, vodka, lime juice, and club soda. Pour into ice-filled glasses and garnish with mint sprigs. In a small saucepan, over medium heat, combine the sugar, water, and mint leaves. Bring to a boil, reduce the heat, and simmer for 5 minutes, stirring occasionally, until the sugar has dissolved. Remove the pan from the heat and allow the syrup to cool for 20 minutes. Strain before using, pressing on the mint leaves to extract as much syrup as possible. Have you whipped up any special meals (or cocktails!) 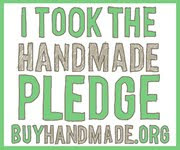 this week to help ward off the heat &amp; humidity? Hola! found you via twitter and Caron. This looks so good!